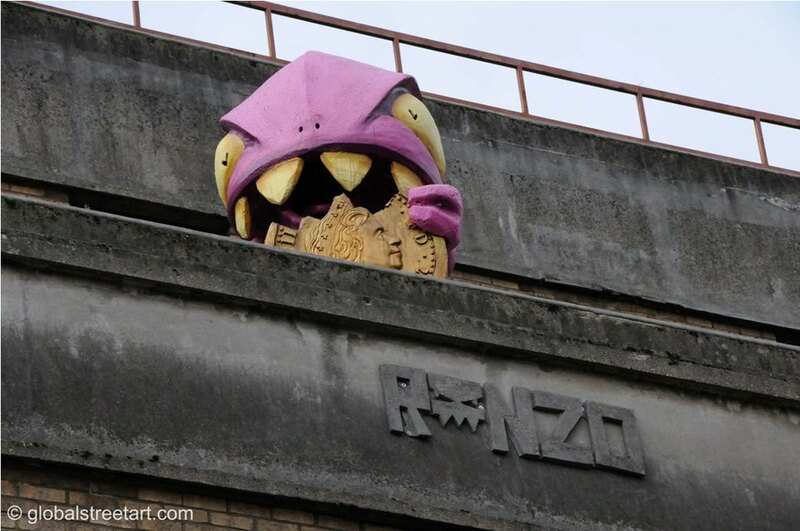 Ronzo on Great Eastern Street. Ronzo on Grey Eagle Street. Cityzen Kane on Redchurch Street. Cityzen Kane on the Foundry. Dr Cream on Chance Street. Dr Cream on Brick Lane. Christiaan Nagel on Old Street. Written by our friends at Global Street Art (you can also like them on Facebook here). The past decade has seen a big expansion in the number of techniques used by street artists. 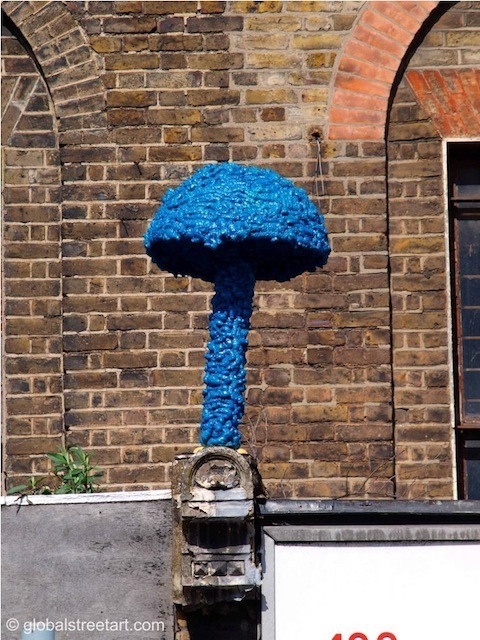 On top of the freehand spraycan art, stencils and posters that appear throughout London every day, we’re now seeing ever more sculptural works. 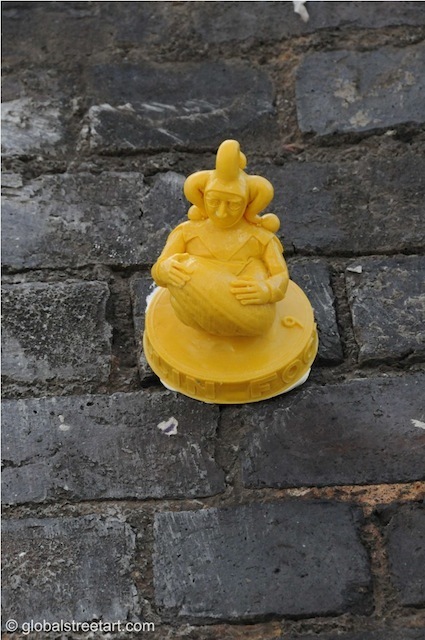 Some of London’s best street art sculptors include Ronzo, CityZenKane, Doctor Cream, Christiaan Nagel and Issac Cordal. 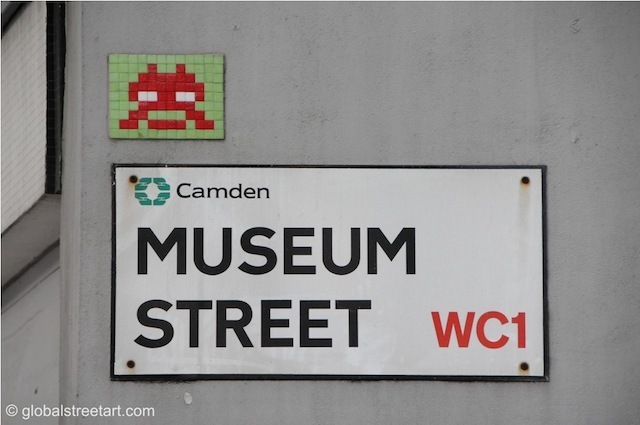 Space Inavder from Paris also regularly visits London to put up his tiled pieces. 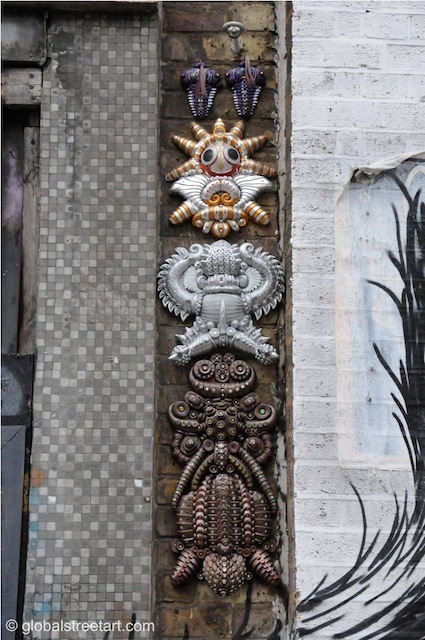 Many of the sculptures can be seen on the "street art corridor", which runs roughly from Brick Lane to Old Street (Brick Lane and the Truman Brewery, Redchurch Street, Great Eastern Street and Curtain Road), although sculptures increasingly pop up along Hackney Road and further afield. 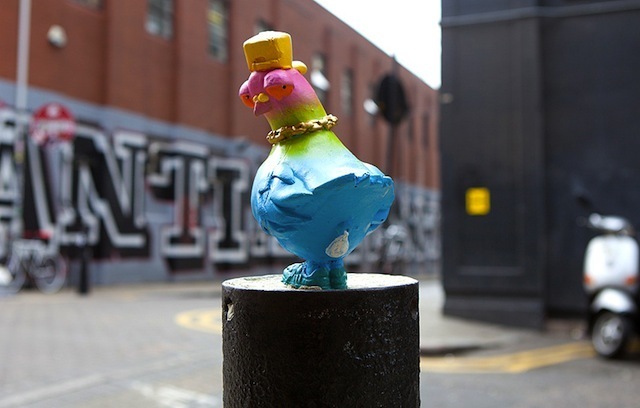 We spoke to three of London’s most prolific sculpture street artists: Ronzo, CityZen Kane and Dr Cream to find out more. I drew, painted and built stuff since kindergarden. As a teenager, I got into graffiti and loved that too. I get bored quickly so I have to try new things to keep busy. Transforming my drawings and figures into sculptures was just the next step! 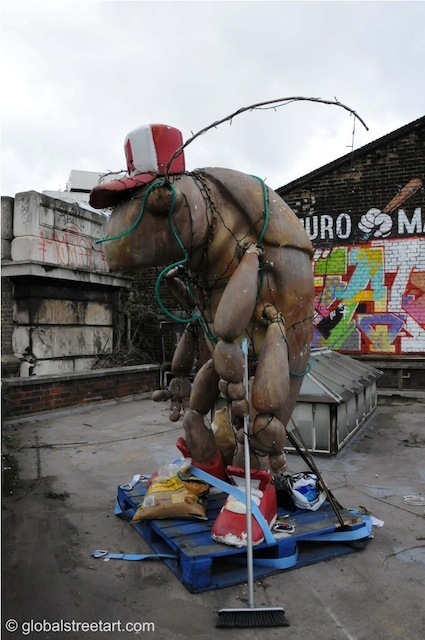 My first 3D piece was at Finders Keepers 2001 in East London. Today I’m making sculptures with clay, resin, fiberglass, concrete and now even bronze! I make sculptures of different sizes: from very big to very small. 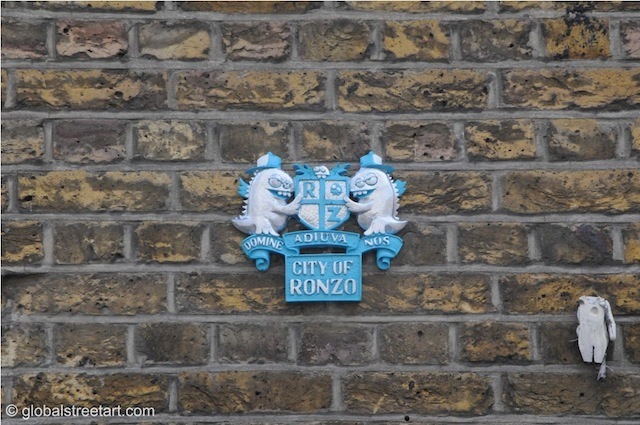 I put up the little ones like my 'Birdz' or 'City of Ronzo' crest by climbing up or standing on a ladder. Bigger ones like ‘Rochion - The Giant Cockroaches’ need to be put up with a cherry picker or a crane! I’ll tell you where some of my biggest sculptures are. The smaller ones are a secret, you’ll have to go out into the World and discover them for yourself! Check out my website at www.ronzo.co.uk. I’m also on Vimeo (www.vimeo.com/ronzo) and twitter (@RZO1). The last ten years has seen a very exciting movement in street art away from the traditional graffiti scene. The doors are wide open and there are so many artists exploring so many new and innovative ideas and techniques. About five years ago I started putting my work on the streets. The city walls are an open, free gallery! I make sculptures out of traditional clay, wax clay and polymer clay, always bearing in mind that they have to be attached to a wall! I then make a silicon mould of the original which can then be replicated, painted and sometimes adorned with glitter and crystals, so that they sparkle in the sunshine and hopefully brighten people's day as they wander past! I grew up watching a lot of sci-fi and reading Marvel comics. I'm currently involved with the Occupy movement, so my work has begun to take on a political aspect. 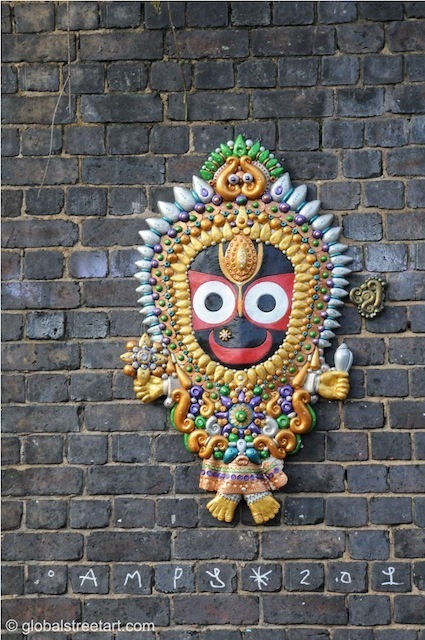 I’m also involved with the Gaudiya Vaishnava movement in India, so there is the Eastern, alien, ancient element to my work too. It’s a general mish mash. My loud, clashing colours don't always appeal to the generally muted and reserved British taste, and I accept that. But it me and it’s what I do! As for the grey suits – well, I don't give a damn about them because all I do is put art on walls and they use the tax money that I pay to bomb, kill and maim innocent people. If they have a problem with it they can come to me and I'll tell them a thing or two! Most of my pieces are in Shoreditch. Keep your eyes peeled because I’ve put up new work, with lots more on the way. 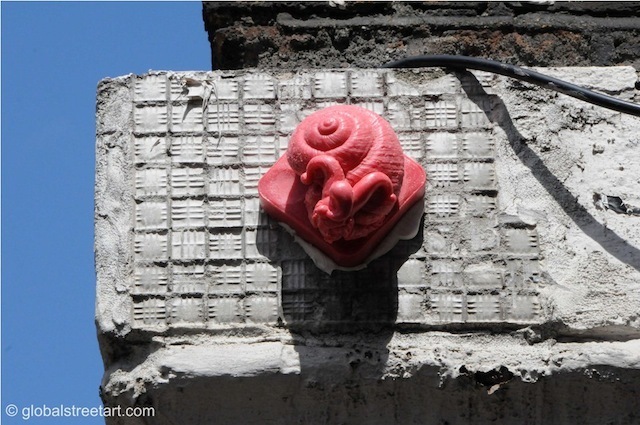 The first 3-D tag I made was a small Dr Cream portrait button in cement in Berlin. Then I wanted to make a more elaborate cement tag, and I thought a snail shell would be something you might find stuck on a wall. I chose a jester emerging from the shell for two reasons: the horned hat of a fool is similar to the horns of a snail and a friend of mine was a big fan of playing card jokers! My early jester pieces had the names of youtube films I wanted people to find (e.g. Jester Quest). The jester looked a little like a pawn in a chess set, so I made the rest of the figures for a set – I placed a knight in Knightsbridge and a queen on Old Compton Street in Soho. Today I work more in resin — the moulds I use are known as a ‘condom moulds’ (the figure is cast in one piece so you don’t have to hand finish imperfections on seems between different parts, etc.). My street art characters are often part of my animations, which you can check out on YouTube. 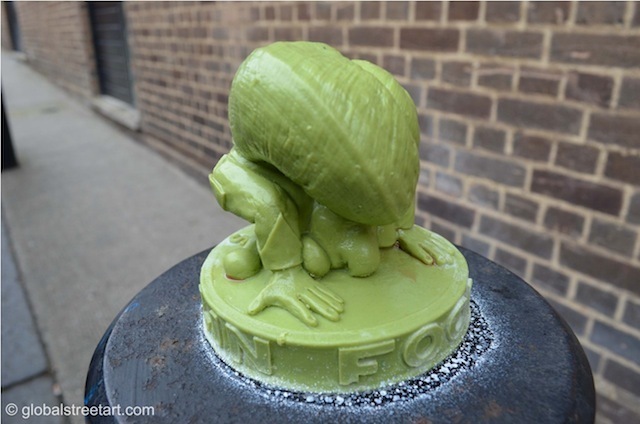 Check out the Rolling Fool film, which was my first street art animation (I used to work with animators so it was a natural thing for me to do). I’m developing the idea further with stencils of the Rolling Fool character and paste-up animations; I’ll shoot these on the streets along with the 3-D figures. 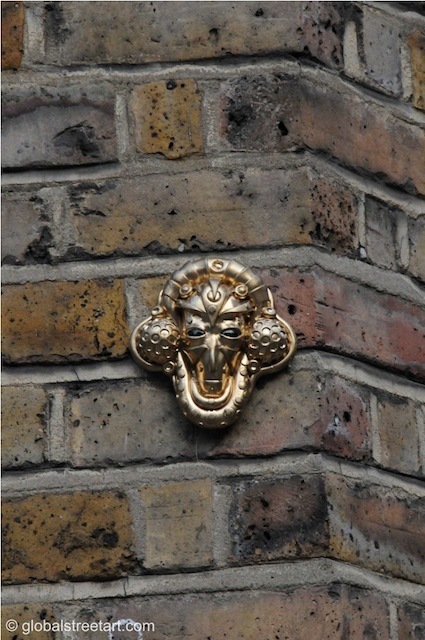 I have three locations I like in London: Soho (Denmark Street, St Annes Court, Broadwick Street and Golden Square), the canal around Camden and Shoreditch (the Brick Lane area).